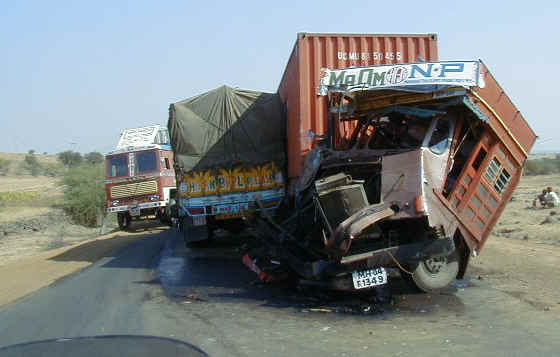 Indian roads are the deadliest! India is topping the lists now, going past China to claim the numero uno spot. Now before you let that chest swell with pride, take a moment to digest the fact that India is now the most dangerous when it comes to road traffic. 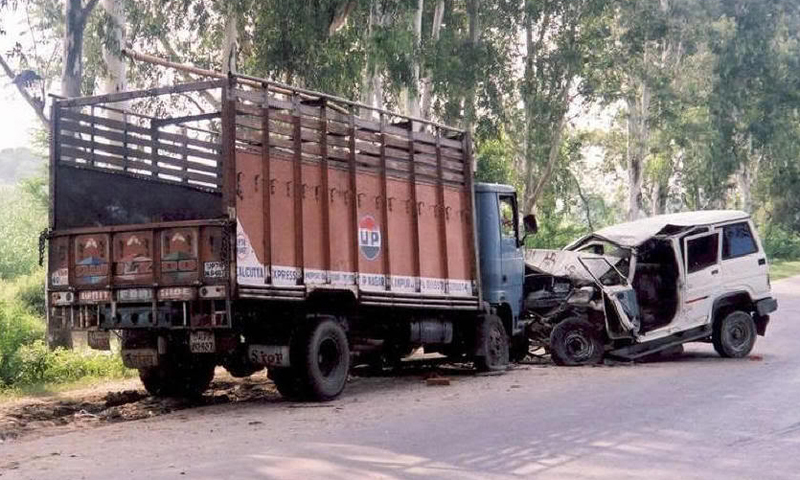 For India is now infamous for charting on top of the list for having worst road traffic accident rates. For the blissfully ignorant Indian this might come as a shock, but too most that face all the dangers and threats a daily commute has to offer, this wasn’t something unexpected. Ask any roadside shop owner, a taxi wallah or an office babu, everyone would quip exclaiming that the stats are wrong; surely India must have been at the top of this aforementioned list all along. 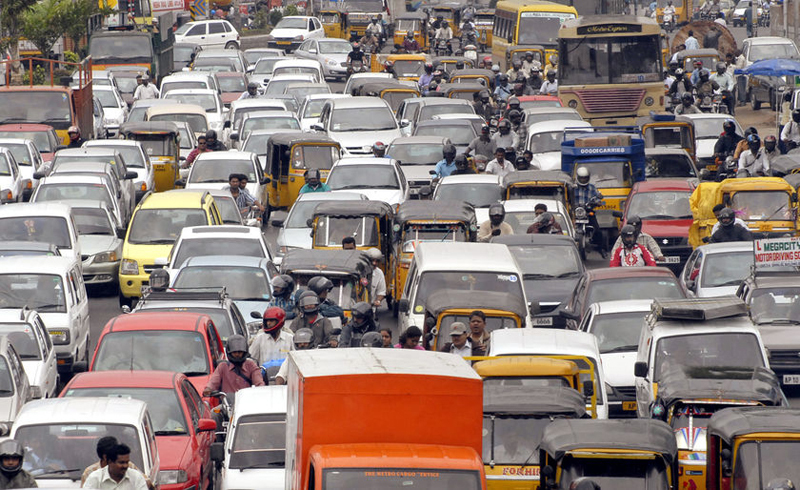 Indian roads are becoming a deadly contraption that is devouring 130000 people annually. China with its vast network of roads, its massive population and intense traffic has done enough to let India surpass them in this shameful category. Under the statistics reported by the World Health Organization from the first of its kind list, India has conquered all hurdles and ‘roadblocks’ to come out first. Throw in some pathetically planned roadways, some potholes like that of fantastical giant Venus fly trap’s and add some drunk or ill trained drivers to that and you get two things; one, the sorry state of Indian roadways and two, a recipe for disaster. Strong laws are needed to be enacted; firm decisions are to be implemented regarding all things concerning roads, anything that takes, to stop this culling of innocent civilians. Of all the causes, the one reason that attributes to most of the horrifying road scenes is the ill trained bungling careless drivers. India is the hotbed for all things illegal. No wonder it also heads the list for the most corrupt countries in the world. Fake licenses hit the road in sheer thousands each day. Untrained hands behind the wheels, puts to risk everyone on the roads. When a single move, a single mistake can take lives, the authorities must take immediate action to curb such practices. Complete disregard for road signs and asinine driving cannot go unchecked. Beyond the obvious loss of lives and the sudden devastation that engulfs the victim’s family, it also affects our countries economy. There are certain policies and legal enforcements the government can look into to get the shameful banner of ‘deadliest roads’ off India’s forehead. One such is giving the bus and truck drivers’ special defensive driving training, and provides emphatic training to make the drivers thorough with Road Safety and Defensive Driving Skills. Institutes such as the Institute for Excellence in Service and Planning (IESP) can be called upon to take up the mantle in shaping up India’s roads. They follow a strict training module, namely the Defensive Driving Course (DDC) as per the National Safety Council, USA to make their roads safe and non-lethal.